An unconventional restaurant with a good-humoured environment. Express your own wacky ideas with crayons! Enjoy new recipes mixed in with classics dishes, and plenty of old favourites like Jack's Garlic Pan Bread. Enjoy home-style and globally inspired fare for you and all your friends. 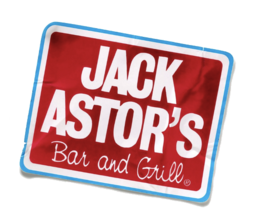 Join us at Jack's in Kitchener's CF Fairview Park.